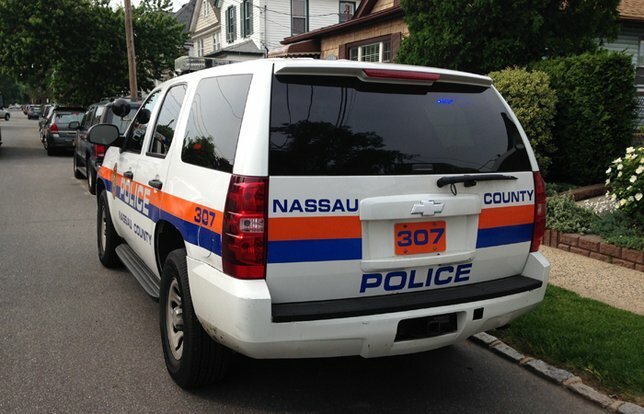 NCPD are investigating a Robbery in North Valley Stream. North Valley Stream, NY - Sept. 20, 2018 - The Fifth squad is investigating a Robbery that occurred on Thursday, September 20, 2018 at 1:38 A.M. in North Valley Stream. According to detectives, the 37 year old male was working as manager at Valero gas station, located at 758 Franklin Avenue. While standing outside the store, he was approached by 2 males. One male pressed what appeared to be a gun into the victims back. The suspects then directed the victim back into the store and instructed him to lie on the floor. The suspects threatened the victim stating that if he did not comply, he would be shot. The victim complied. The suspects took an unknown amount of cash from the register and fled on foot, south on Franklin Avenue. There were no injuries reported. The suspects are described as a male black approximately 6’3” tall and a male Hispanic 5’8” tall, both wearing dark clothing and both wearing masks and gloves. Detectives ask anyone with information about this crime to contact Crime Stoppers at 1-800-244-TIPS. All callers will remain anonymous. Subject: LongIsland.com - Your Name sent you Article details of "NCPD Investigating Armed Robbery at North Valley Stream Gas Station"